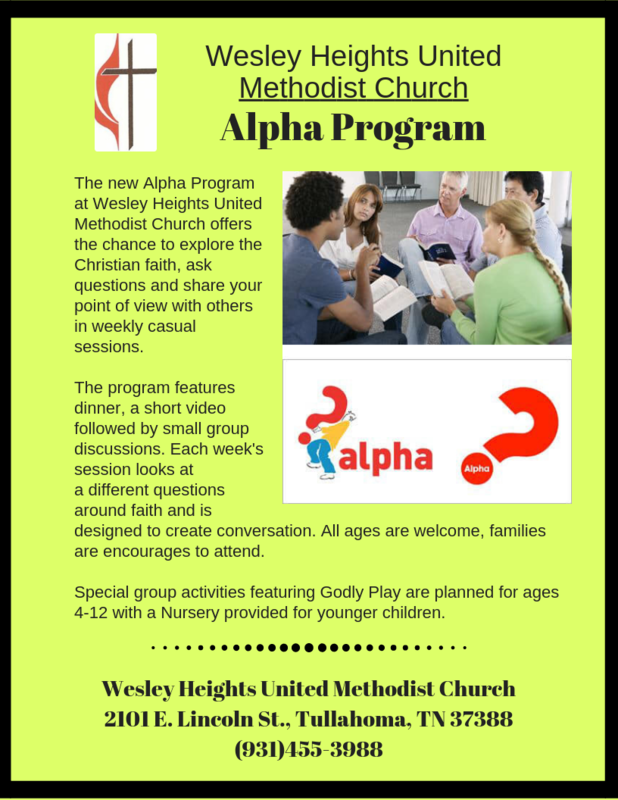 The new Alpha Program at Wesley Heights United Methodist Church offers the chance to explore the Christian faith, ask questions and share your point of view with others in weekly casual sessions. The program features dinner and a short video followed by small group discussions. Each week's session looks at a different questions around faith and is designed to create conversation. All ages are welcome, families are encourages to attend. Special group activities featuring Godly Play are planned for ages 4-12 with a Nursery provided for younger children.